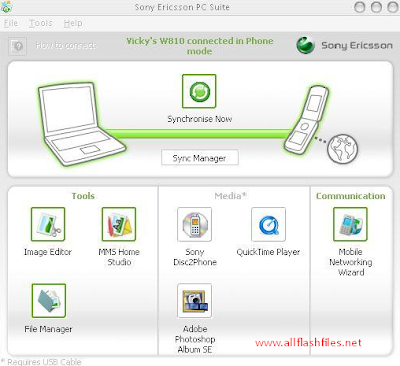 Pc Suite is used for connecting different mobiles with PC via USB data cable. You can use your phone as a modem for internet or you can exchanging of files between your mobile and PC. Some times we are facing trouble during connecting our mobiles if we are installing new operating system on our PC. If we have new operating system installed we will need to install most needed driver packages other vice our PC will not detecting our mobile. So PC suite is most easiest way to connecting two devices. You can manage your mobile apps very easily on your PC and you can reply your friends text messages and also managing of outgoing and incoming calls. If you are facing difficulty during connecting your mobile here you can download latest PC suite of your mobile from below downloading links. If your will install your mobile PC suite your PC suite will install your mobile USB driver automatically and you will able to connect your phone with your PC easily. After successful installation just connect your mobile with your PC via compatible USB data cable. Now you can get your mobile PC suite from below downloading links. If you are facing difficulty during downloading or installation feel free to contact us via commenting we will help you if possible thing for us. You will found downloading links from below buttons.